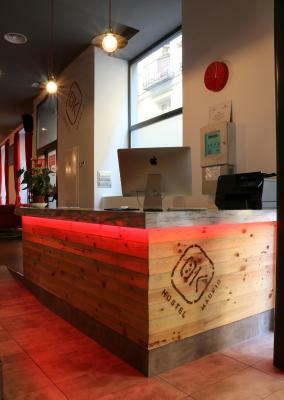 Lock in a great price for Ok Hostel Madrid – rated 9.3 by recent guests! 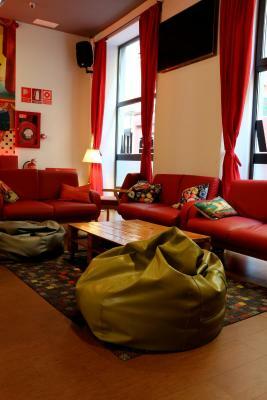 I highly recommend this hostel and will certainly be staying here again if I go to Madrid. It has very clean and nice rooms, the staff is very helpful and friendly, there are several activities and nice public areas, and it is in a great location. 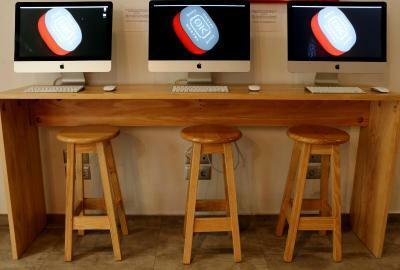 The staffs are very friendly and helpful. They’re super nice. The breakfast is all-you-can-eat in only 5€. The room is neat and clean. I really like the drawers under the bed. They’re very convenient. I went on a walking tour with Erika. She was so full of energy. She walked us through Madrid with nice explanation and fun fact. She even gave us many recommendations of things to do and place to eat. I will definitely stay here again if I get a chance to go to Madrid. Great friendly staff, overall very clean rooms and facility, centrally located. Staff were excellent, great location. Rooms and beds were clean. This was a great hostel. I checked in with Isaac who was very patient and thoroughly explained everything to me about the hostel and popular attractions. I had breakfast and dinner at the hostel and met nice people. The beds were probably the nicest hostel beds I’ve experienced. Plenty of space for storage, lights and outlets for each bed. 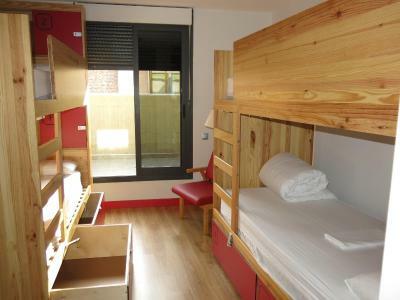 If I come back to Madrid, this is the only hostel I would stay at. 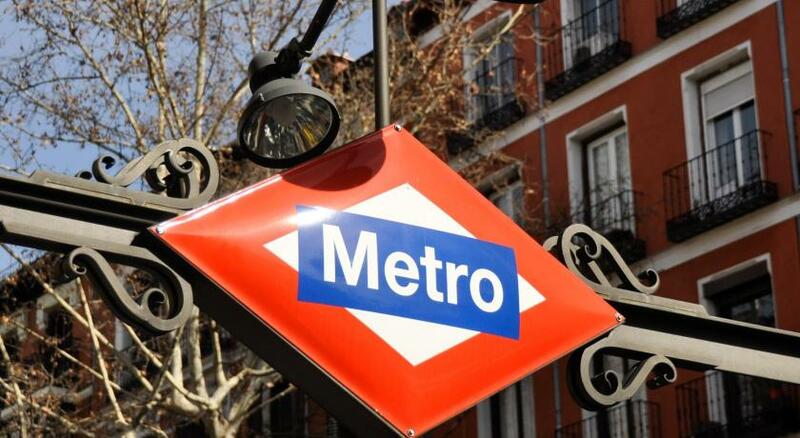 Featuring free WiFi throughout the property and set 650 feet from La Latina Metro Station, Ok Hostel Madrid offers accommodations in Madrid. The property offers a bar and shared kitchen. 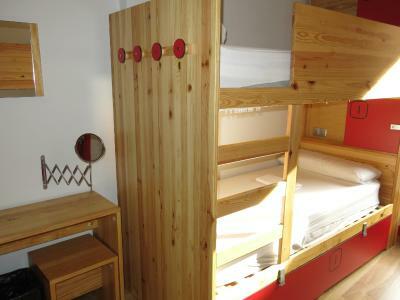 The property offers private rooms with a double bed, flat-screen TV, desk and bathroom, as well as dormitories for 4 or 6 people, fitted with bunk beds, lockers, and a bathroom. There is a shared kitchen and a communal lounge in the property. 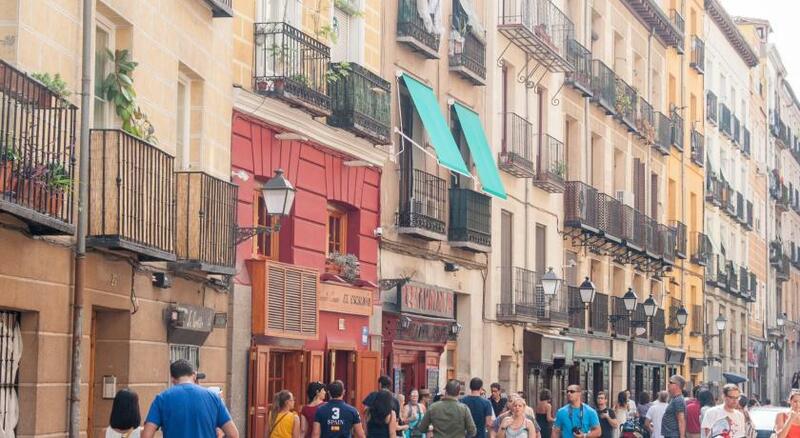 You can find several bars, restaurants, and shops within a 5-minute walk of Ok Hostel Madrid. 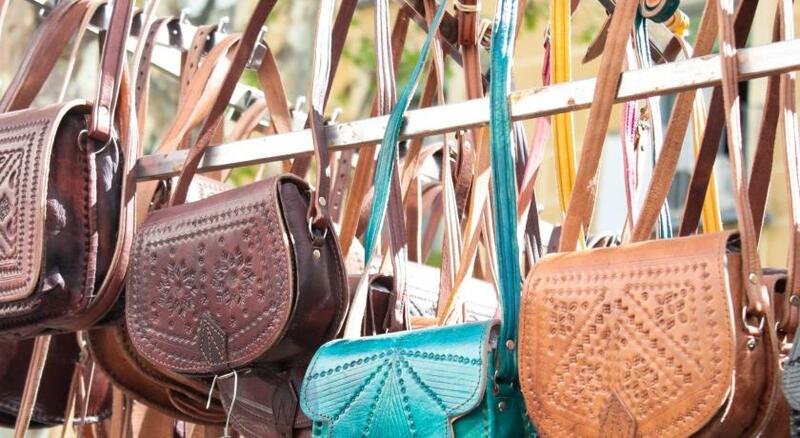 Plaza Mayor and Puerta del Sol are 2,300 feet away. Adolfo Suarez Madrid-Barajas Airport is 8.7 mi from the property. 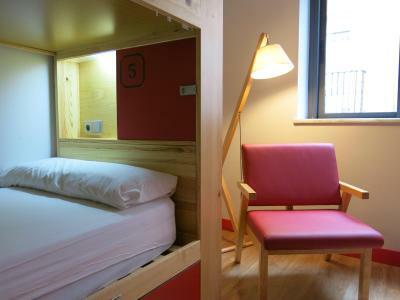 When would you like to stay at Ok Hostel Madrid? 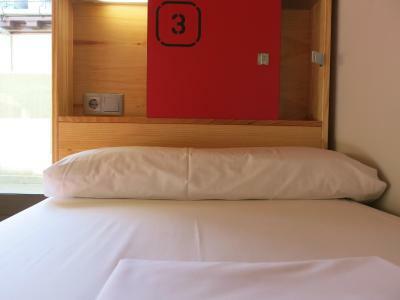 This air-conditioned room comes with 1 double bed, desk, flat-screen TV, and a private bathroom. 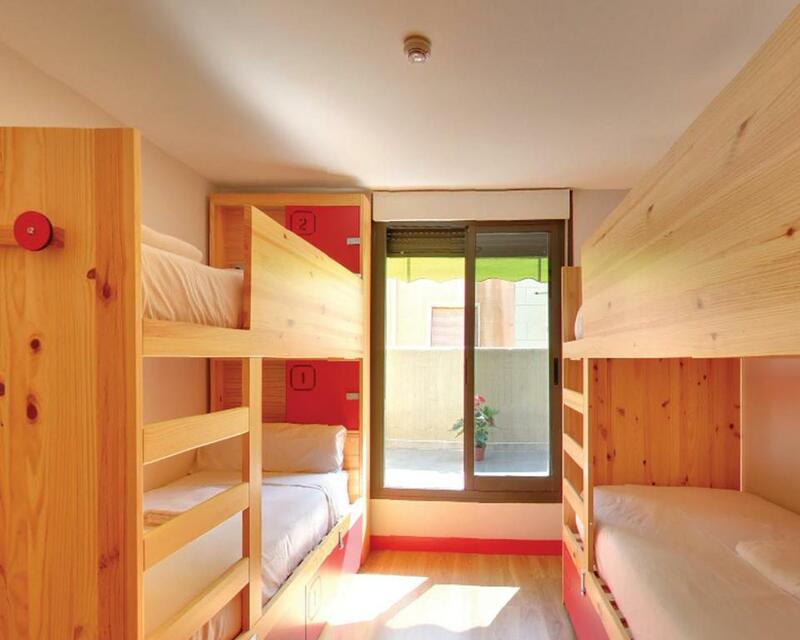 This air-conditioned dormitory has bunk beds for 4 people, a desk, and private bathroom. 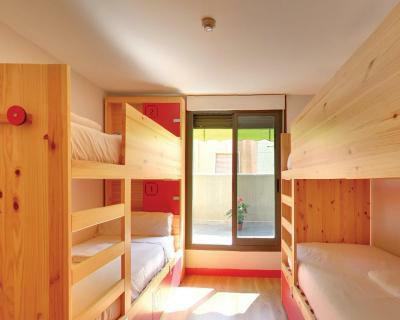 This air-conditioned dormitory has bunk beds for 6 people, a desk, and private bathroom. Most of all, our friendly, welcoming and warm staff! 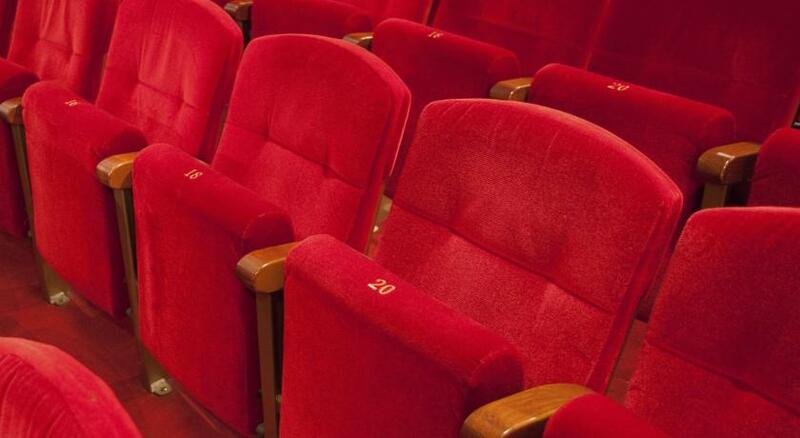 The service provided at an amazing price, the great location and our top facilities. 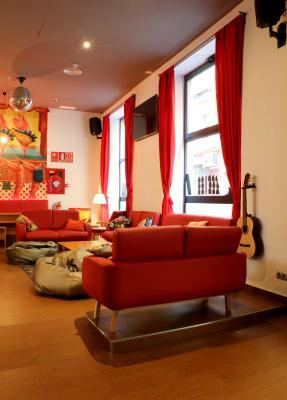 House Rules Ok Hostel Madrid takes special requests – add in the next step! Ok Hostel Madrid accepts these cards and reserves the right to temporarily hold an amount prior to arrival. Maybe the best place to stay in Madrid, when you travel alone. This is my second time to stay in this hostel, everything is great, amazing staff, good facilities and nice breakfast. My 16yr old daughter and her friend stayed here and felt safe and secure. It was in a good location for seeing the sights the meals offered were very good value and enjoyable. She loved hiring the electric scooters from the hostel to travel about and see the city these were also really good value. 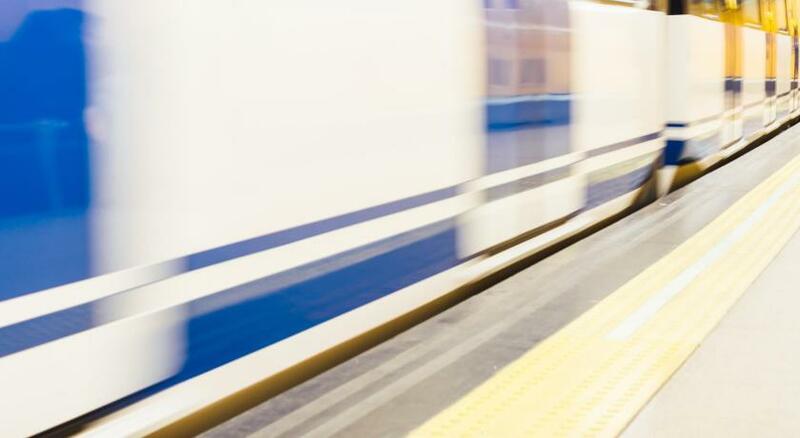 Didn’t like: the surrounding area is under construction and difficult to move around when you have a huge luggage, the nearest metro station has no lift but had 15 steps up, so a problem if you have a big luggage. Might stay again but when I don’t have a huge luggage with me. 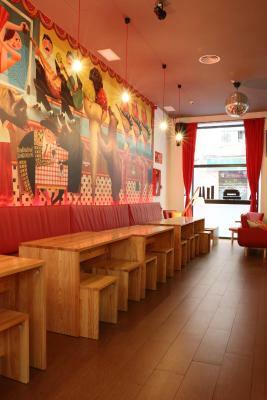 Very nice hostel for people who want to meet new people and have some fun - there is free walking tour, dinner with open bar and pub crawl available. Super friendly staff. Great location.